Federal investigators are joining a search for Erica Lynn Parsons, a teenage girl who was reported missing nearly two years ago, after her parents have become increasingly uncooperative. The FBI has joined Rowan County Sheriff’s Office deputies in the search, reported WBTV. Parsons was last seen on November 19, 2011, but wasn’t reported missing until July 30 of this year. Erica’s step-brother, James Parsons, last saw her, and told investigators that his parents told him that Erica went to stay with other family members when he asked about her. Now the parents, Casey Stone Parsons and Sandy Parsons, have become increasingly uncooperative, say law enforcement officials. “The parents have since hired a local attorney and refuse to cooperate further with Sheriff’s Investigators in this case,” deputies told WBTV. The attorney, Carlyle Sherrill, said that the parents were contacted by Erica’s birth mother, a distant relative, who lives in the Asheville area. Erica visited a couple of times, returning to the Parsons after the visits, but on the third visit she never came back. On the other hand, grandfather Steve Parsons said that he’s concerned about Erica. “If I could just know where she is at, I’ll be alright,” he said. Investigators told WSOC that Parsons adopted parents have lied for two years about where they are. Also, family members said that she lived a tough life. Erica Lynn Parsons, 15, has been missing since Nov. 19, 2011. 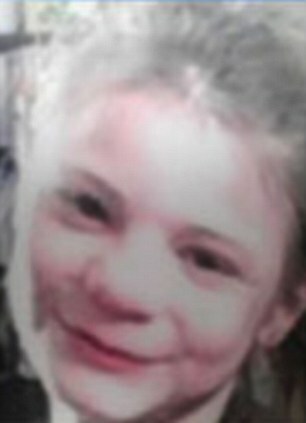 Her older brother, James Parsons, reported her missing on July 30. He told authorities that, when he asked about her absence previously, his parents said she'd gone to live with other family members. The teen's adoptive parents, Casey Stone Parsons and Sandy Parsons, initially talked with investigators, but became increasingly uncooperative, according to the Sheriff's Office. “ ... So far, none of the information provided by Casey and Sandy Parsons has been found to be factual, and none of the leads that have been received by the Sheriff's Office have provided the location of Erica Parsons,” Sifford wrote in a news release. The couple hired local attorney Carlyle Sherrill a few days after detectives began their investigation. Sherrill told a Post reporter Tuesday the couple had no known relatives in Asheville, but the girl's biological mother had ties to that city. He said the parents indicated Erica was a “rebellious teenager.” Sherrill said the couple told him they spoke with the teen a while ago and she told them she did not want to return home. Sherrill said Wednesday the parents were not being intentionally untruthful, but were providing law enforcement with information that was given to them. “Someone's been lying to them. It's not that they were being dishonest. They were reporting what they were told,” he said. Sherrill said Erica Parsons was picked up in a car by some people who the Parsons family had met through Erica's birth mother. He said the people gave the Parsons couple false names. “The information provided to the Sheriff's Office is the information that my clients were informed of at the time,” Sherrill said. Investigators have followed up on possible locations of Erica Parsons across the state, but so far none of the leads has led to the teen, Sifford said. Erica is described as small for her age. She is Caucasian, 4 feet 5 inches tall, 85-90 pounds, with a thin build. She has brown hair and brown eyes. The Rowan Sheriff's Office asks anyone with information about Erica Lynn Parsons to call 1st. Lt. Chad Moose at 704-216-8687 or Investigator Clint Mauldin at 704-216-8710. SALISBURY, N.C. — A Rowan County couple is speaking out after their teenage daughter disappeared nearly two years ago but was reported missing only a few weeks ago. Casey Stone Parsons and Sandy Parsons spoke with various news agencies earlier this week, after their now 15-year-old adopted daughter Erica Parsons was reported missing. The couple told The Salisbury Post they believe the teen is likely OK and simply too scared to come forward because police are looking for her. Casey and Sandy Parsons told WBTV they didn’t do anything wrong. They said Erica went for a three-week Christmas visit with her grandmother, Irene Goodman, in 2011 and they believed she would be fine. They said Erica called two months later to say she was wasn’t coming back – and they accepted it. However, WSOC reported that no relatives of the teen could be found in Asheville. Erica Parsons’ brother, James Parsons, reported the teen missing to the Sheriff’s Office on July 30. James Parson said she has not been seen since November 2011. She was reportedly last seen on November 19, 2011 at a home along the 200-block of Miller Chapel Road in Salisbury when she was 13. The Parsons said they believe their son reported Erica missing because he wanted to get revenge. 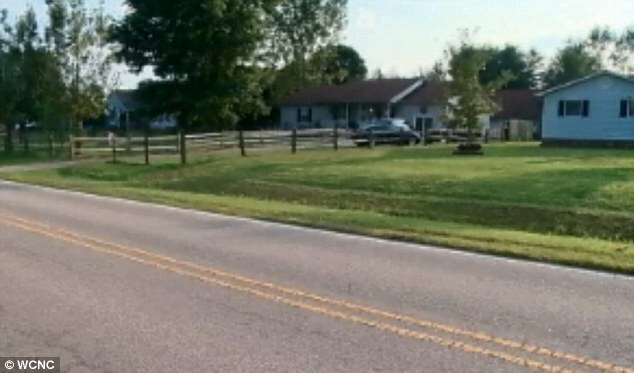 Before she was reported missing, they said they kicked their son out of the house because he allegedly hit his mother. James Parsons told investigators that his parents said Erica went to stay with other family members, when he asked where she was. WBTV also spoke with Erica’s biological mother, Carolyn Parsons. Carolyn is a relative of Sandy and Casey Parsons. “This is my kid. Imagine if it was you. How would you feel? I feel like I’m in somebody’s nightmare and they will not wake up and let me out,” she said. Casey and Sandy Parsons’ attorney, Carlyle Sherrill, told WBTV that his clients were contacted by Erica’s birth mother in 2011. She introduced the family to a relative who lived in the Asheville area. Sherrill said the Parsons let Erica visit her grandmother three times and after the third visit Erica never came back home. Sherrill said the couple didn’t report Erica missing because they thought she just decided not to come back. The Parsons said when Erica’s brother, James, went to investigators and said something was wrong, detectives showed up at their house. Investigators said they have not found Erica. Police said the investigation is continuing and the Department of Social Services is now involved. The Parsons said social workers took their two younger children. Casey Parsons said Erica was with her grandparent, completely safe and having fun. The Parsons said they cooperated with police. The sheriff’s office said detectives checked out the information the Parsons gave them but police said the information didn’t pan out. The couple said they then called an attorney because they started to feel like investigators suspected they had hurt Erica. Sherrill said he and the Parsonses have agreed to appear on the “Dr. Phil” show to share their story. Watch the video at link. Do you believe them? Police in North Carolina say the adoptive parents of a 15-year-old girl missing since 2011 did not report her disappearance for two years - and now they are refusing to cooperate with the investigation. Erica Lynn Parsons was reported missing by her 19-year-old brother last week after she was last seen leaving the Salisbury home of her parents in November 2011. An attorney hired by Erica's adoptive parents, Casey and Sandy Parsons, claimed that his clients were under the impression that the 15-year-old went to live with her biological mother and wanted to be left alone, the Charlotte ******* reported. The lawyer, Carlyle Sherrill, said that two years ago, a person claiming to be a relative or friend of Erica's birth parents came by Parsonses' home on Miller Chapel Road to pick her up and take her to her family. The adoptive parents said they did not raise an alarm at the time because Erica visited that person in Asheville on several occasions. According to Sherrill, In February 2012, Erica called the Parsonses and informed them in no uncertain terms that she was not coming back because she did not want to live with them anymore, Asheville Citizen-Times reported. Two years she has been missing!!! And she is just now reported missing. What is wrong with people. It doesn't sound good. No, it doesn't sound good at all. And it was her 19 yo brother that reported her missing, not the adoptive parents. Totally shocking! Federal investigators should be able to immediately determine if she is where they claim she is or not. Apparently not. ::snipping3::Eyewitness News was first alerted to the scene where police had the road near the home shut down around 11:15 a.m.
"One police officer showed up and next thing you know there was probably 25 or 30 cars there," said Jerry Fairbank. "They are going in the house. They are walking around the house." Video at link! Police and FBI still on the scene as of 6:30 pm EDT. 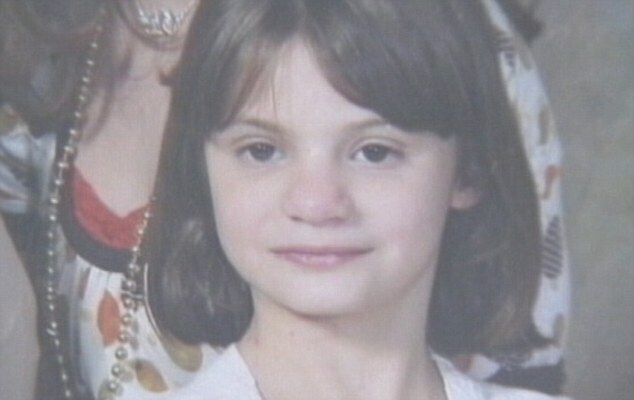 The DSS documents show at least one person was concerned Erica was being abused almost a decade before she disappeared. The documents state that person saw Erica when she was only 4 years old with "four marks on her rear end, a long one down the back of her leg and a couple on the side of her face." A woman involved in the child abuse investigation said she stands by what was in that report. There is a video at this link also and the reporter was talking about some other trouble, something about Erica's adopted mom and being a surrugate mother and trying to con people out of money. This story is just heartbreaking and so confusing. 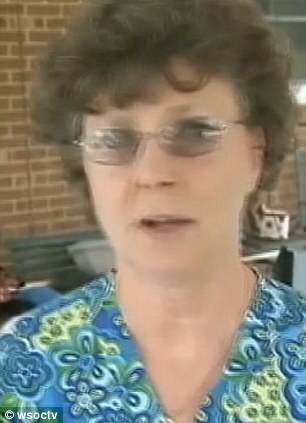 The Nan that Erica was suppose to be visiting in Ashville was found to have died 5 yrs ago. Through records requests, Channel 9 learned that in the past two years, Rowan County sheriff's deputies have been called to the home seven different times, sometimes for 911 calls about violent incidents in the home. Officials at the Rowan County Emergency Communications Center told Channel 9 that in August 2011, deputies were called to the home for a domestic violence incident while a 3-year-old child was inside the house. That call was just a few months before authorities say Parsons disappeared. Her parents told investigators she was going to Asheville to visit her biological grandmother, but now authorities say they were lying. In 2012, authorities said someone at the home filed a missing-persons report not for Erica, but for her adopted sister, Brooke. Video at link also items taken in the search warrant yesterday. SALISBURY, N.C. (AP) — Search warrants issued in the disappearance of a North Carolina teenager said investigators seized stained flooring and baseboard's from the girl's home and were checking red-stained drywall for blood, a newspaper reported Thursday. Sandy and Casey Parsons have said their adopted daughter went to live with her biological grandmother in Asheville, but the Rowan County sheriff's office says that information hasn't checked out. The warrants also say bank records show the Parsonses continued to cash support payments for Erica's care after the girl had left the home. The couple told reporters last week they continued to take the payments because Erica's health insurance was tied to the payments. some news articles and an age progression pic. I don't think this sweet Angel has progressed past the age of 13. So sad. Some news articles . Sadly I think this little sweetheart is in Heaven. Darla, I think you are right . . . this poor, precious child. No one is sure exactly how long Erica has been missing. When her 20-year-old brother reported her disappearance on July 30, he said she actually had gone missing a year and a half before that. Concerned residents have held candlelight vigils during which they have begged anyone with information about her whereabouts to come forward. "We're hoping for the best," said Alan Carpenter, a Salisbury resident who lives near Erica's family and attended a recent vigil at the Rowan County Courthouse. "But we just don't know. There are just too many unanswered questions." For their part, law enforcement authorities are starting to think Erica won't be found — at least not alive. Investigators with the Rowan County Sheriff's Office say Erica's adoptive parents have been uncooperative and that they have uncovered disturbing signs of foul play. No charges have been filed, however. Erica was adopted in 2000, when she was just 2 years old, by her uncle and aunt, Sandy and Casey Parsons. The Parsonses say they haven't seen Erica since late 2011, when they say she moved to Asheville, N.C., to live with a woman they believed was her biological grandmother. But police say they've been unable to locate the grandmother. Casey and Sandy Parsons "were unable to provide any known locations" or contact information, officers wrote in one of two affidavits seeking warrants to search the Parsonses' house and a shed on property owned by Sandy Parsons' father. Law enforcement officials have declined to discuss details of the investigation. The Federal Bureau of Investigation is assisting the sheriff's office. The Parsonses recently moved from their Salisbury home about 40 miles north of Charlotte to the Fayetteville area to escape news media attention. 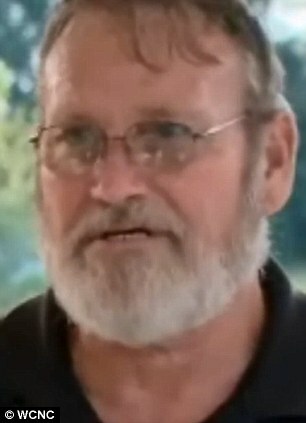 Their attorney, Carlyle Sherrill, told The Associated Press his clients had nothing to do with Erica's disappearance. "They want her back home," he said. The search warrant affidavits filed by police paint a picture of a young girl isolated from the outside world who may have been mentally and physically abused by her parents. "Family members stated that Erica always seemed to be 'grounded' and never allowed to interact with the family," once being beaten so hard with a toy gun that it broke into pieces, a sheriff's office investigator wrote. Witnesses told police that Casey Parsons, 38, and Sandy Parsons, 39, physically abused Erica, who "consistently had bruises and bumps on her arms and legs," the investigator wrote. Sherrill, the family's attorney, said social workers investigated reports of child abuse in the Parsonses' home on four different occasions in recent years. "But none of them were substantiated as far as beating the kids or abuse," he said. From the beginning, Erica — whom witnesses and Sherrill described as a shy, quiet girl — was surrounded by people who didn't seem to want her. Just two weeks after she was born on Feb. 24, 1998, her biological mother, Carolyn Parsons, who was married to Sandy Parsons' brother, told her in-laws she couldn't take care of her baby. The Parsonses, who had three children of their own, agreed to take Erica, and later adopted her. But when Erica was 6, they sent her to live with another family member, an investigator said in the affidavit for the search warrant. That family member, who was not identified, said Casey told her she beat the girl because she "couldn't stand to look at Erica." Eight months later, Sandy and Casey Parsons took Erica back because they were afraid they'd lose the state money they were receiving to help with the child's learning disability and hearing problems, the investigator wrote. Witnesses not related to the family said it was dysfunctional, mainly due to problems the parents were having with James, the same son who later reported Erica's disappearance. According to Sherrill, Casey Parsons battled gastrointestinal issues for years after botched gastric-bypass surgery. By 2011, she was very sick, and James "took out his aggression on his mother," the attorney said. James was charged with assaulting his mother and a sibling, and animal cruelty, Sherrill said. It was during this period that Casey Parsons began to wonder what would happen to her children if she died, he said. In July 2011, the Parsonses re-introduced Erica to her biological mother, but Erica told them she did not want to live with her, Sherrill said. A few months later, according to the lawyer, Casey and Sandy Parsons said they were contacted by a woman on Facebook who claimed she was Carolyn's mother and Erica's grandmother. She said her name was Irene or "Nan" Goodman, Sherrill said. "Nan knew all about their family, all about the names of the children," Sherrill said. "Nan tells them that she learned that through Carolyn." The Parsonses said they arranged a meeting with "Nan" at a fast-food restaurant in September 2011. They let Erica spend a weekend with the supposed grandmother in her Asheville home, and later allowed her to go on a three-week trip with Nan in December 2011, Sherrill said. It was during that trip that Erica called to say she was happy and wanted to live there, he said. Sherrill said the family agreed because Casey Parsons was still sick and James Parsons was continuing to misbehave. The Parsons family then lost touch with Erica, but assumed she was safe, Sherrill said. "The phone number they had for Nan didn't work anymore," he said. In June, Casey and Sandy Parsons kicked James out of the house after he assaulted Casey, Sherrill said. A month later, James Parsons walked into the sheriff's office to report that his sister had been missing for nearly a year and a half and that his parents had been abusing her for years. The next day, the Parsonses' two youngest children were removed from the home by the Rowan County Department of Social Services pending an investigation. The couple told police that Erica was with Nan. They repeated the same story to the local news media and later on a nationally syndicated TV talk show. But during police questioning, Casey Parsons often referred to Erica in the past tense, an investigator wrote in one of the search warrant affidavits. "I found these statements to be inconsistent," since the family claims to have left Erica "alive, well, and happy with her biological grandmother," the investigator wrote. Meanwhile, police pressed ahead with the investigation, but could find no evidence that Irene "Nan" Goodman ever existed. On Aug. 14, investigators removed more than a dozen items from the family's house, including pieces of wall stained with what appeared to be blood and two knives encased in shrink wrap, according to one of the affidavits. They also found books and magazine articles about JonBenet Ramsey, a child beauty queen found slain in her Colorado home in 1996; and Susan Smith, a South Carolina woman who killed her two children in 1994. Seized financial records showed that the Parsonses continued collecting money from the state even after Erica disappeared, according to the affidavit. While the investigation continues, the National Center for Missing & Exploited Children has erected more than a dozen billboards featuring Erica's picture around the Charlotte area. Erica Lynn Parsons, a resident of Salisbury, N.C., had been missing a year and a half before her brother reported her disappearance in July. Now, authorities suspect foul play in the now 15-year-old's vanishing. Erica Lynn Parsons, pictured at left in an undated photograph and an age progression artist rendering at right on how she might look like today. Parsons was last seen in late 2011, when family members say she moved to Ashville, N.C. to live with a woman her adoptive parents believed was her biological grandmother. ::snipping3::According to the paperwork filed by Sandy Parsons' father and step-mother Wednesday in Rowan County, the couple owes their landlords more than $25,000. Page created in 1.303 seconds with 21 queries.